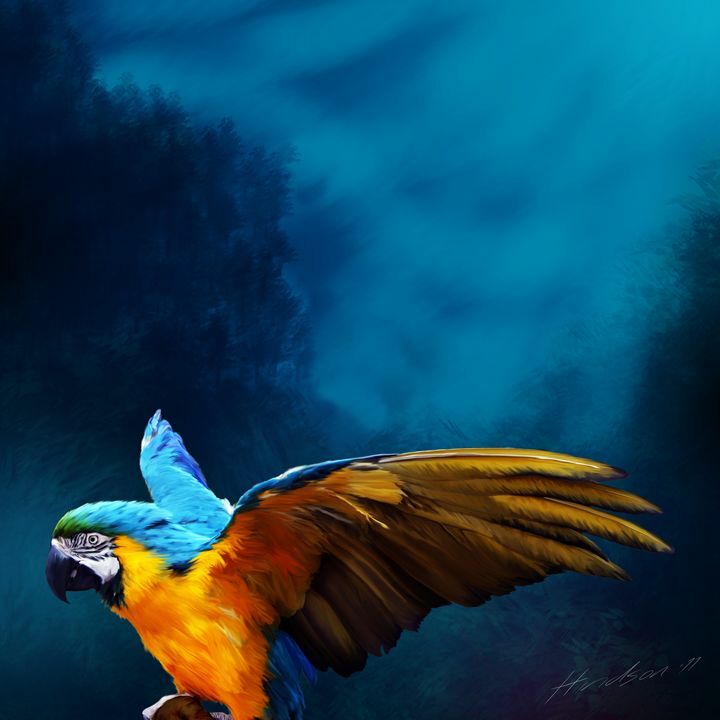 Artwork of Blue Macaw by Julian Hindson. Julian’s photo-realistic technique stems from his career in graphic design and art direction. From an early age Julian has focused on creating a dynamic aesthetic with his work by working with light to create lush, saturated compositions that draw the viewer in. Julian is a full time artist and designer and can be found most days in his Auckland studio working on something that little bit special.